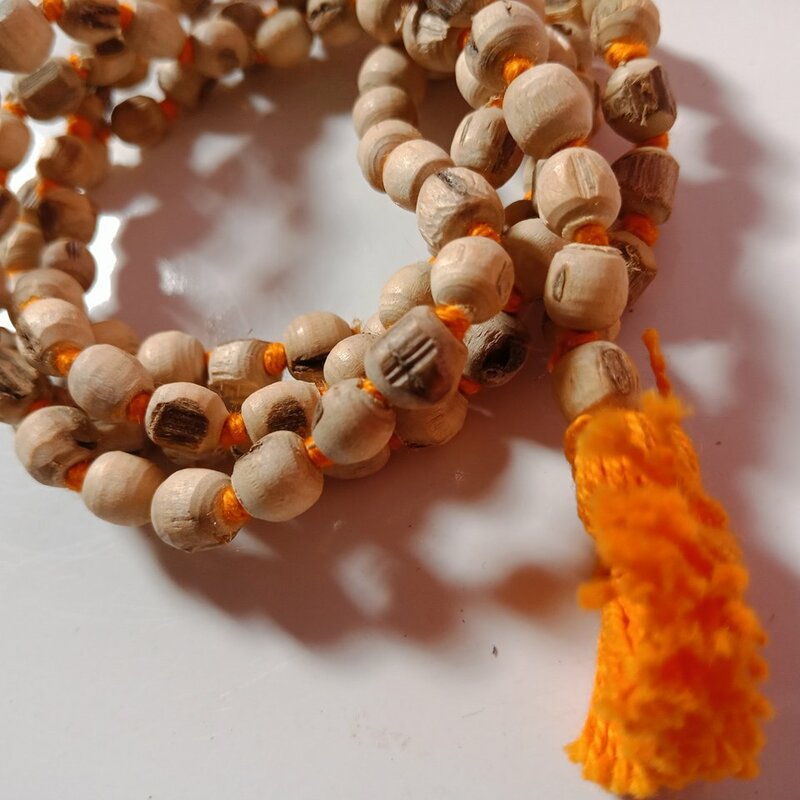 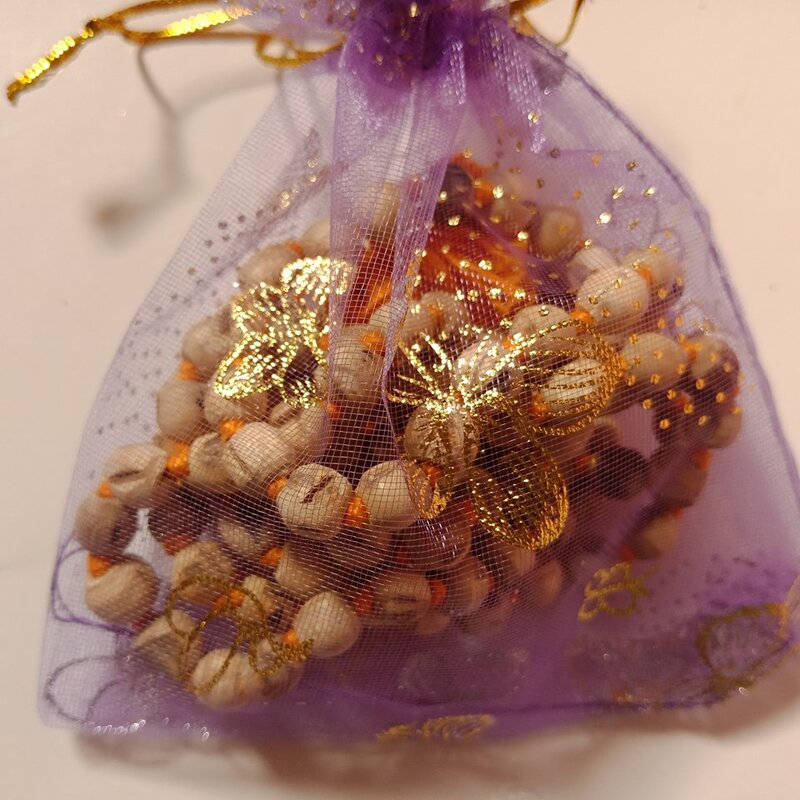 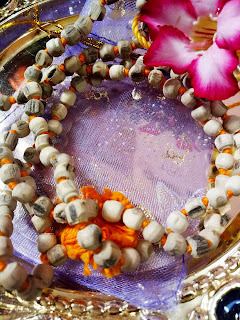 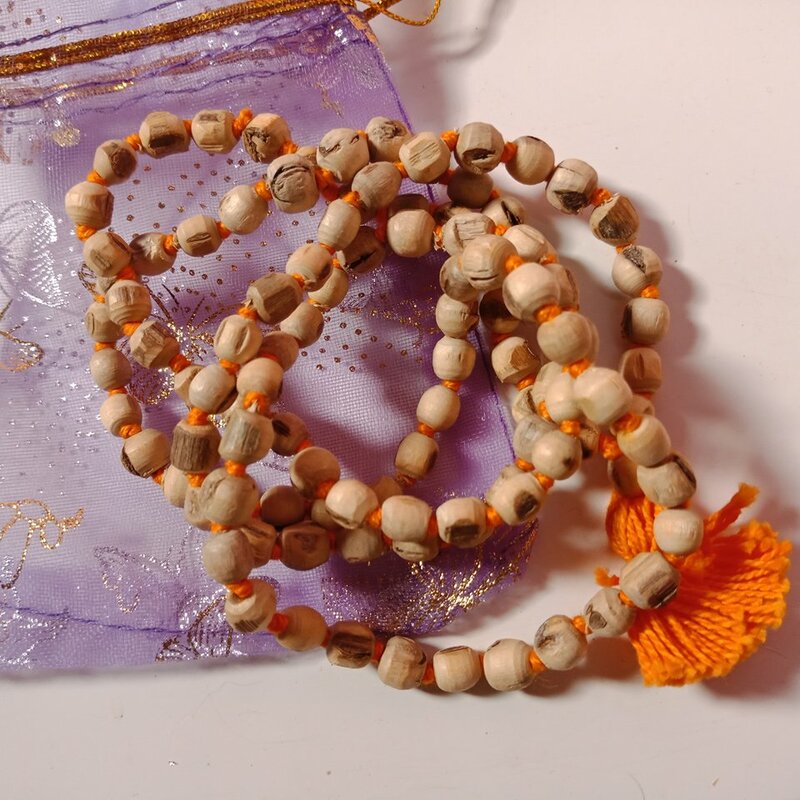 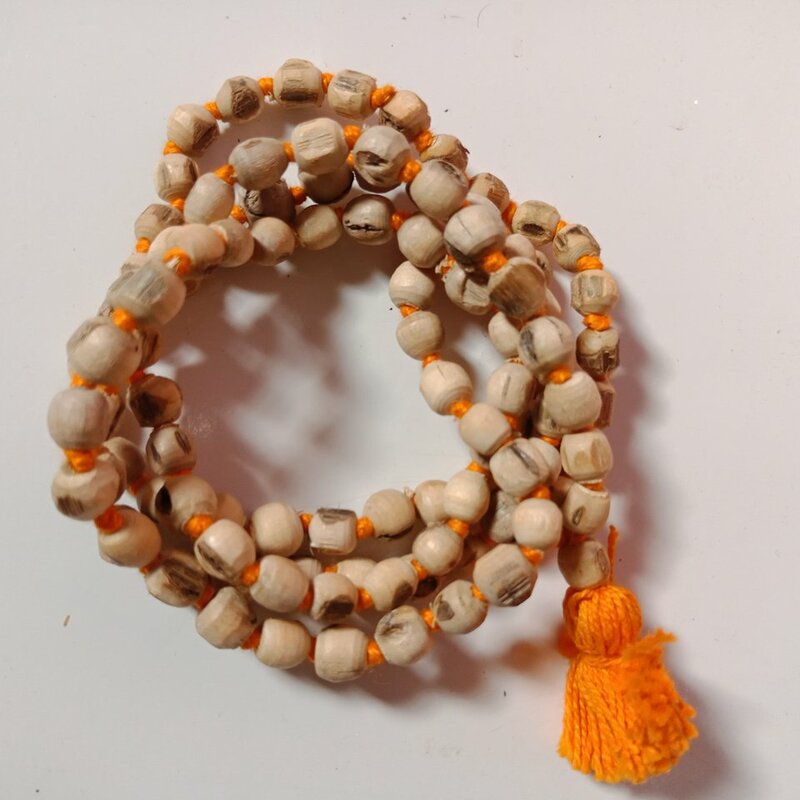 This mala contains 108+1 organic wooden Tulsi/holy basil beads hand knotted in a traditional orange cotton yarn with orange tassels. Please do not use this mala when consuming or cooking non-vegetarian food. It is advisable that menstruating women also refrain from using this mala since its vibration does not synchronize with that of bloodshed.